Unless you’ve taken a recent social media hiatus, chances are you’ll have seen the latest viral beauty trend to take over social media– peel-off masks. There’s a certain amount of comedy value/shock factor to be obtained from watching people struggle to remove a peel-off mask (especially when they’re applied it over their entire body), but such masks do have their skincare benefits… Read on if you watched the videos and found yourself wondering, what do peel-off masks actually do for your skin? Essentially, the chief benefit is their ability to pull out deep-rooted buildup from pores, and in turn reduce the appearance of blackheads. Blackheads are notoriously hard to budge – the reason being that they’re more than just a dark mark on the skin. Beneath the surface there is a buildup of bacteria, oil, and dead skin – the top layer of this has oxidised and turned black. Whilst many masks remove this visible layer, it takes something a little more aggressive to clear out the root problem beneath and prevent the blackhead from rebuilding. 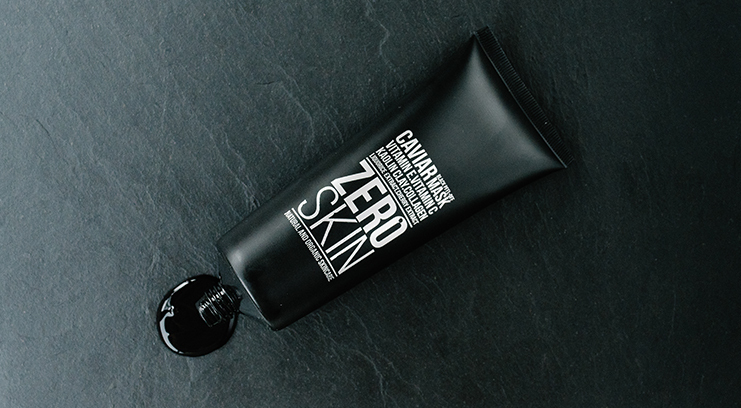 The problem with a lot of the peel-off masks going viral on the internet is that they’re formulated with charcoal powder and PVA (yep, the stuff you find in industrial glue) so there’s a reason why Zero Skin’s Black Caviar Peel Off Mask has been so hyped on the internet. First up, it contains only natural ingredients – which bodes well for the sensitive-skinned. 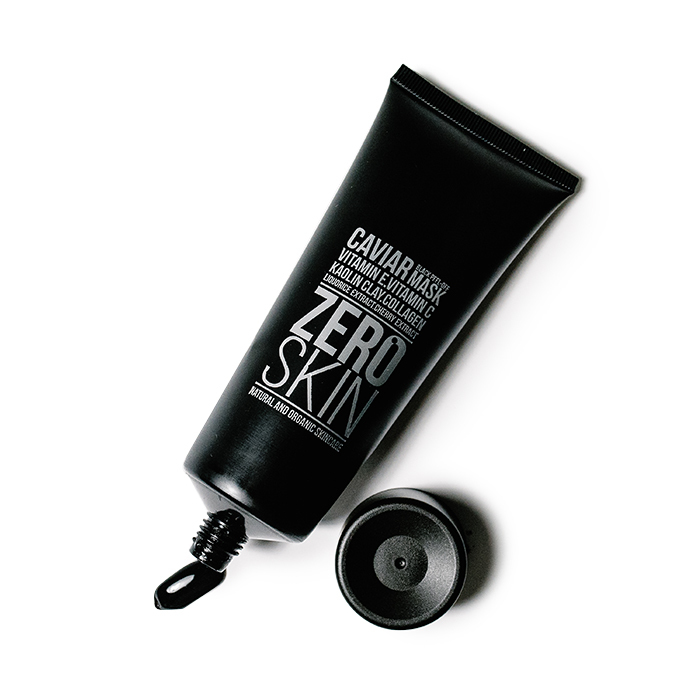 Kaolin clay, vitamins C and E, and a (far from typical) star ingredient – caviar, feature. The result is a formula rich in vitamins and amino acids that strengthen the skin’s structure by enhancing collagen production and boosting ceramides (to give skin extra moisture). 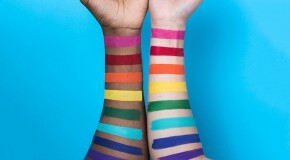 The idea of a peel sounds pretty scary – slathering your face in a sticky substance that dries down to create an aggressively adhesive layer that you have to tear off to remove – and granted, it also sounds a tad gimmicky. But if you’d resigned your pores to a lost cause there’s no denying the efficacy of a good peel-off mask (and fear not, adhere to the instructions and you’ll avoid any full-face-waxing nightmares). For maximum results, I steamed my face over a bowl of hot water for five minutes prior to applying the mask – this causes the pores to expand and the debris within to loosen, meaning blackheads can be removed much more easily. The texture was surprisingly sticky, thick, and gel-like, but I used an old foundation brush to apply it and found it easy to spread in a thin layer over skin. This is no ‘slap dash before bed’ mask – it takes 30 minutes to dry down – so get comfy with Netflix. Once dry, the fun part! Truly, there’s nothing more satisfying than peeling off the mask and actually being able to see the gunk that’s come out of your skin. The age old saying goes ‘beauty is pain’, but the peeling process wasn’t as torturous as I’d expected, and the fact that my skin was so noticeably clearer and brighter afterwards more than made up for a few seconds of slight discomfort (top tip: pay attention when instructions tell you to avoid the eye area)! Whether your skin suffers from clogged pores, pigmentation, or rough patches in need of a good exfoliation, this mask will wick away the effected layers of skin – far more than just a fun beauty ritual.